The Twee Gebroeders was built in 1900 in Deest aan de Waal. 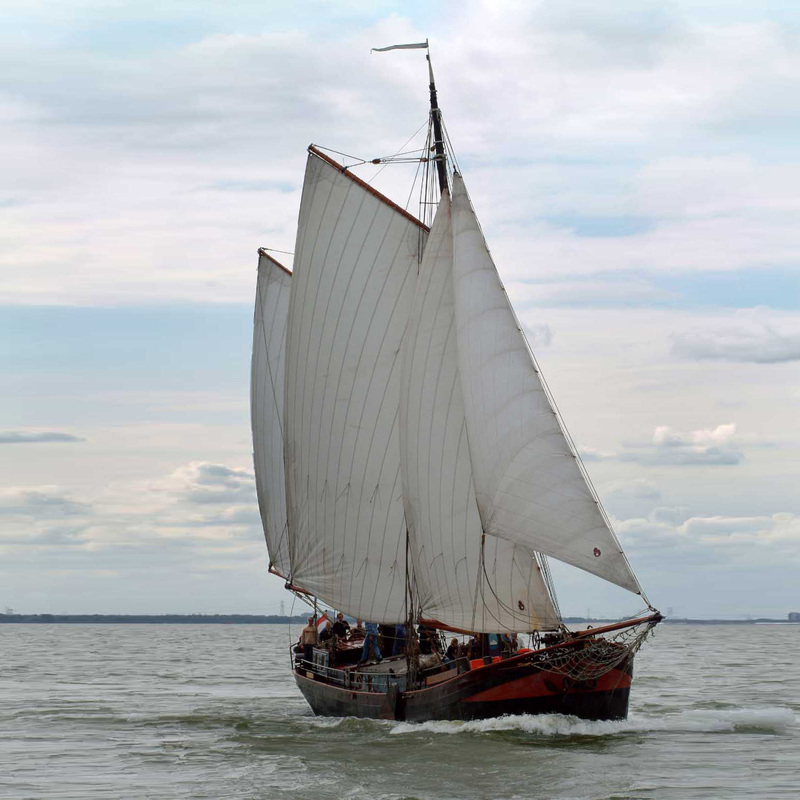 Nowadays it sails as a passengership on the IJsselmeer and the Waddenzee. The ship is rented with captain and mate, that’s why it is not necessary that you already know the sailing-technics. Guests naturally can help with all sorts of things if they wish to do so. All sails are still operated by hand, that’s why sometimes a little bit of help will be appreciated. It is also handy if some assistance is given on the longer journeys with, for example, tacking, steering and the navigation. The destination of the journey will be determined upon consult, but the wind is often decisive. The ship complies to all inspection requirements and has three stars on a scale of five.